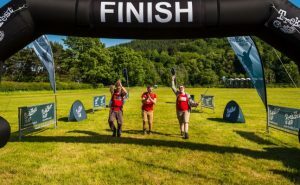 Home » Take on TrekFest 2018! Are you looking for a fitness challenge for 2018? Why not combine getting in shape with raising money for a great cause & choose TrekFest, the UK’s ultimate charity walk! With a spectacular location and two distances to choose from, there is a trek to suit everyone. Take part as a team or as an individual; bring along your friends and family and get ready for the most rewarding weekend of your summer! The Peaks, 1-2 September 2018. Discover one of Britain’s beautiful National Parks, the ancient Peak District, Derbyshire. The shorter trek will explore a section of the magnificent Ladybower reservoir, and the longer route will reach the highest point of the Peak District, the 636m Kinder Scout. 25km or 50km – there is a distance to test all abilities. – Set your own pace – it’s only a race if you want it to be! – A celebratory hot dinner, drink & massage to finish! – And, of course, you can fundraise for Act4Africa and help us in our project to provide brighter futures for the poorest African communities! There are a number of ways to pay as detailed in the link below. Head to the TrekFest website by clicking on this Act4Africa link and pick your destination, route length and payment method. 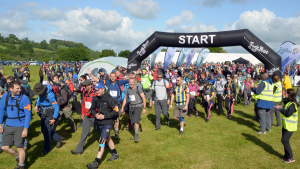 For more information on the challenge go to the TrekFest website and if you would like a free Trekfest brochure, please click here. We look forward to your invaluable support!